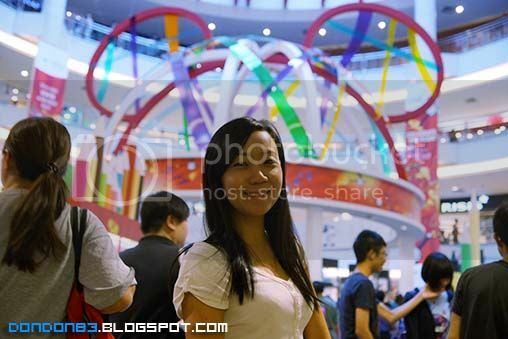 i bought prime lens with me yesterday , so.. today i brought a more convenience lens to cover the event :). 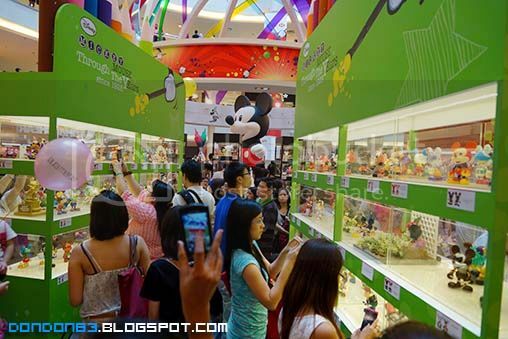 that's the mickey exhibition in the centre court. 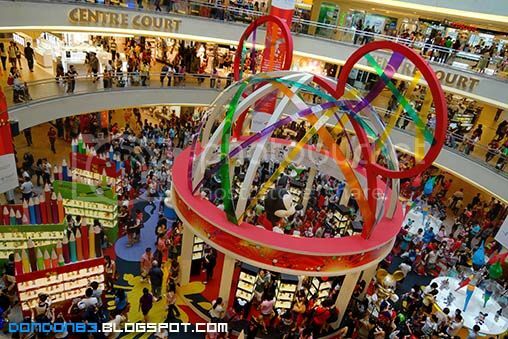 since is Saturday.. the crowd is more compare to Friday night. 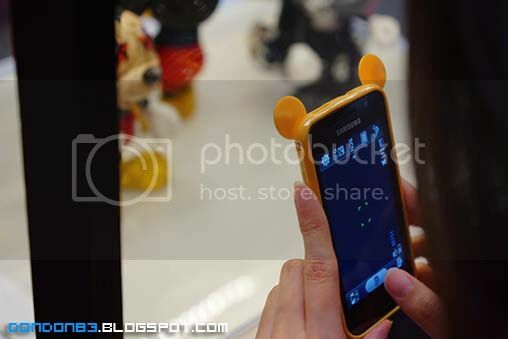 everyone is snapping photo here and there. 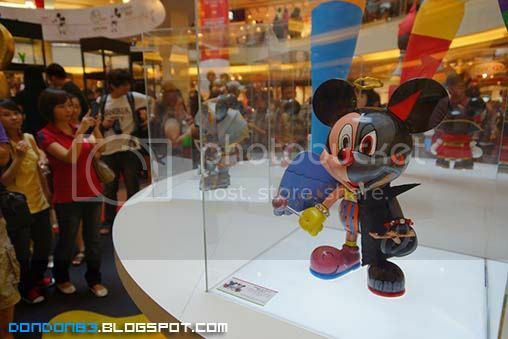 there is some larger size mickey on display. 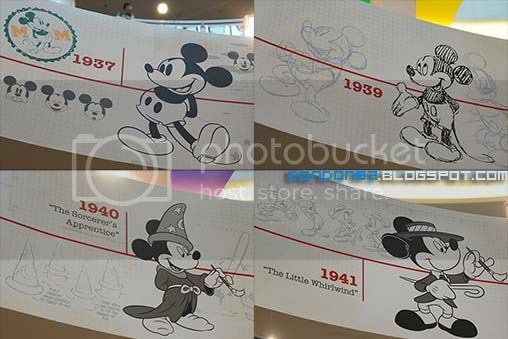 here is where all the special designed mickey placed. 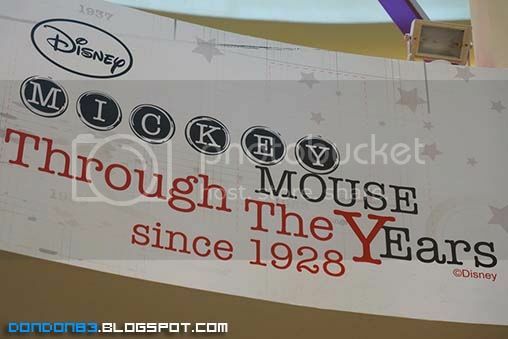 if not mistaken, there are 109 type of mickey. 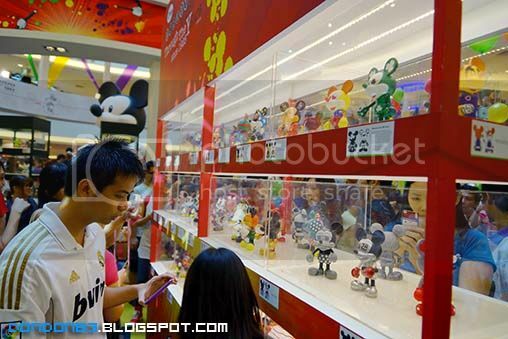 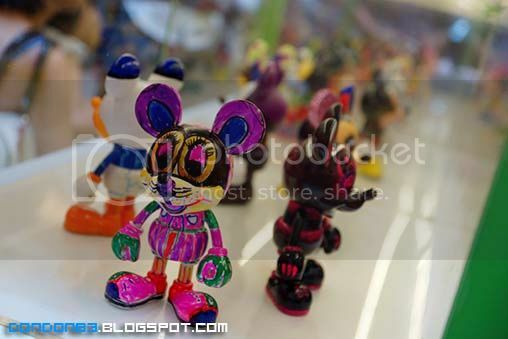 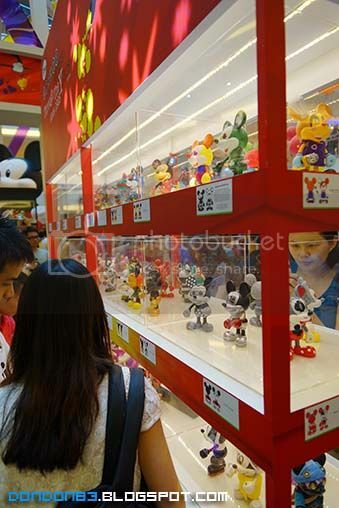 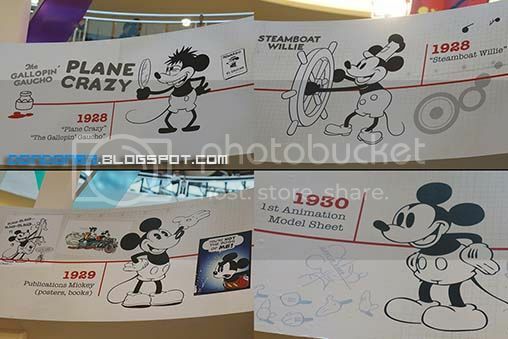 hnmph..
spotted some mickey fans.. you can tell..
there are varies of mickey designs can be seen here. 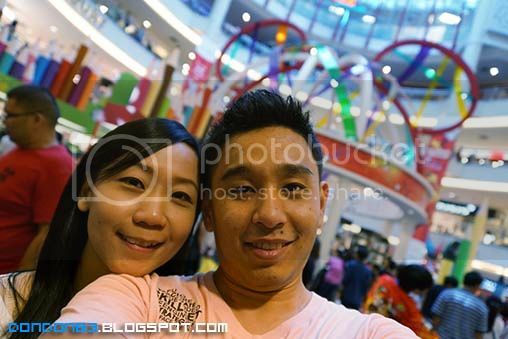 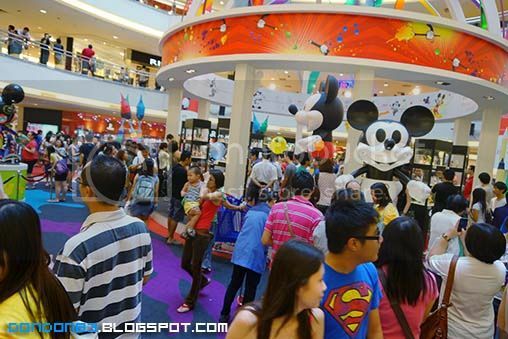 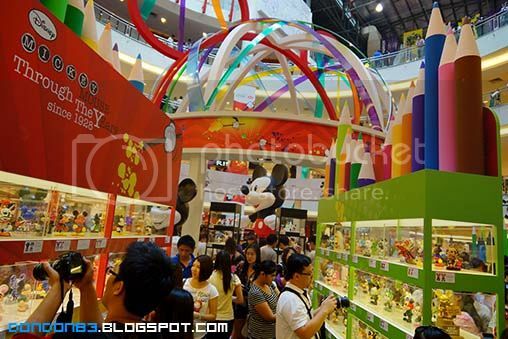 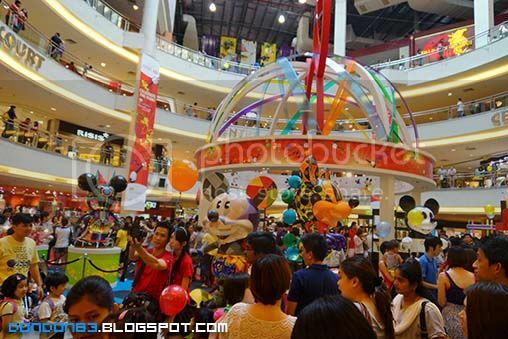 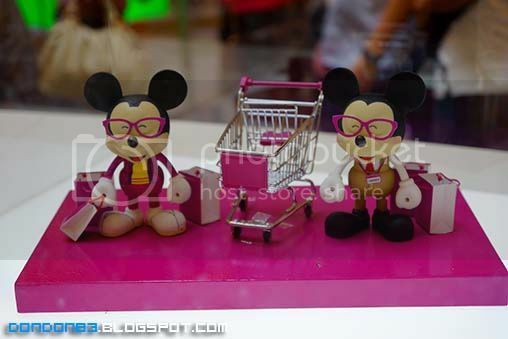 surprise... Jaya Jusco Mickey also here..very commercial to me..
that's the Evolution of Mickey Mouse until today. 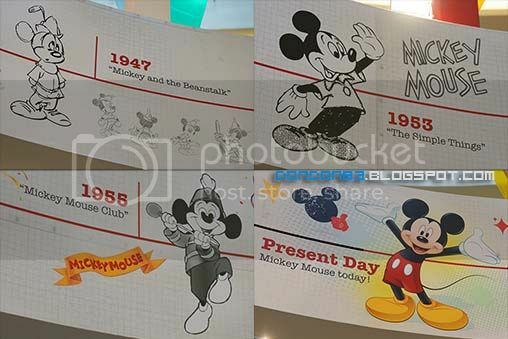 and i guess that's all for the mickey mouse exhibition.